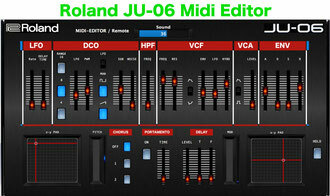 Roland Boutique JU-06 "Midi Editor / Remote" - ju-06remotes Webseite! 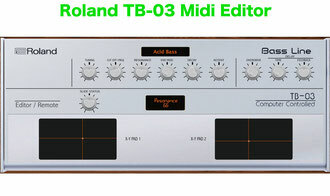 The "DinSync RE-303" is a replica of the "Roland TB-303 Bassline"
here is my new Midi Editor / Remote for the Synthesizer Roland Boutique JU-06. 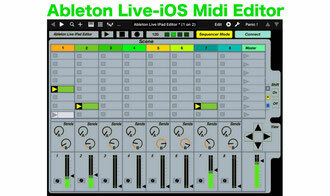 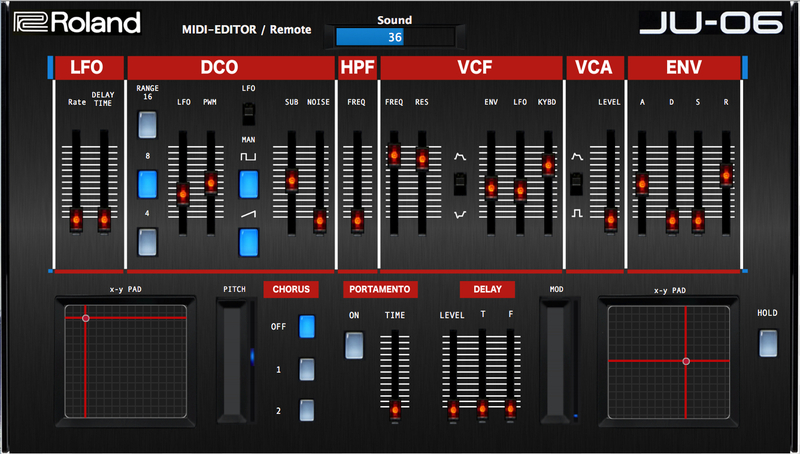 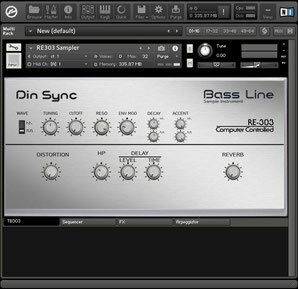 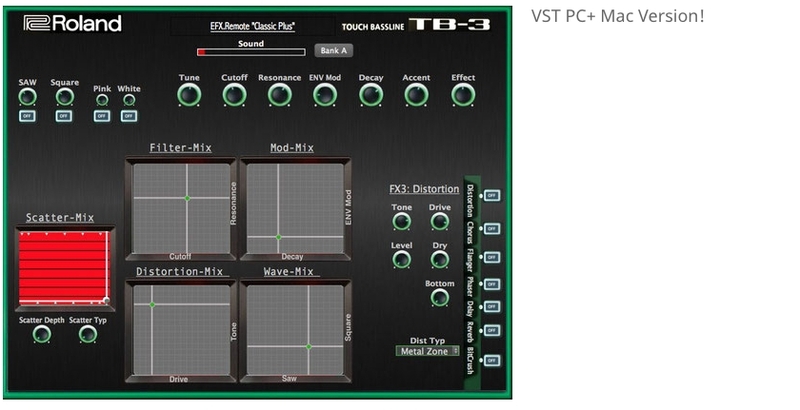 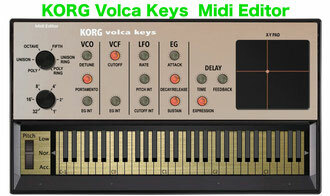 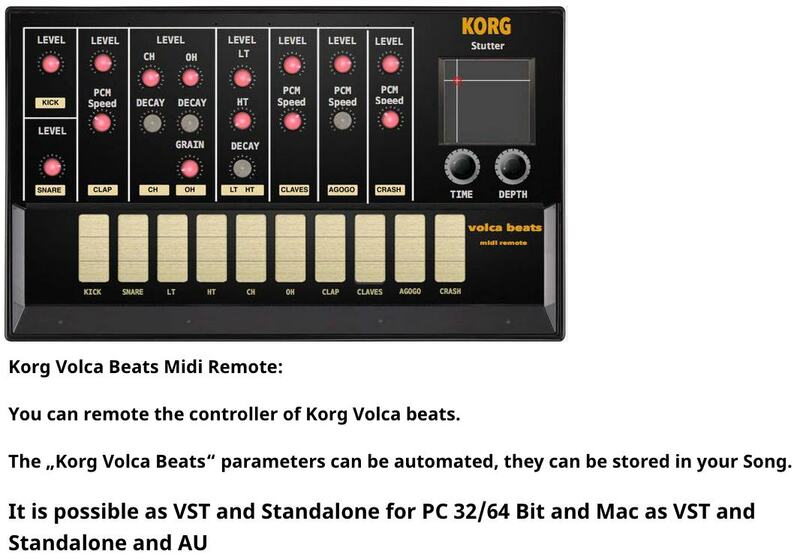 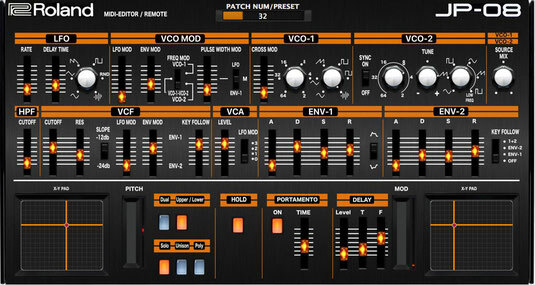 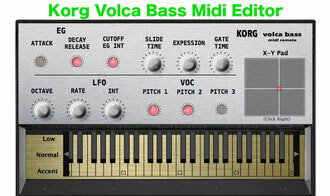 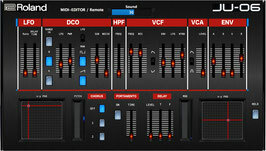 It is possible as VST and Standalone for PC 32/64 Bit and Mac as VST / AU and Standalone. 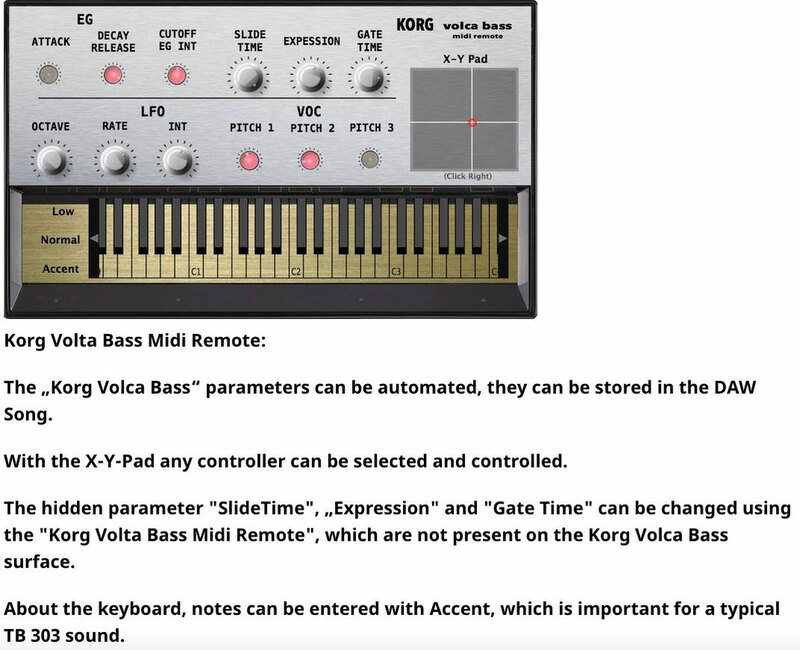 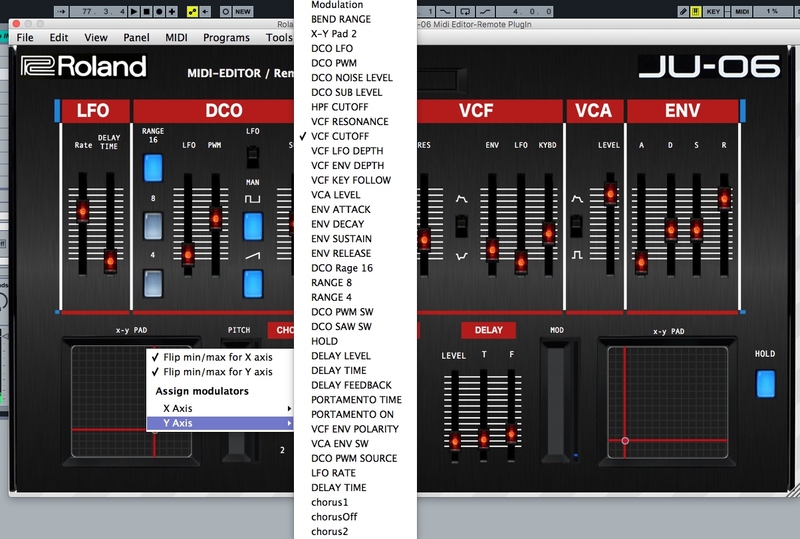 The „JU-06“ parameters can be automated, they can be stored in your Song. 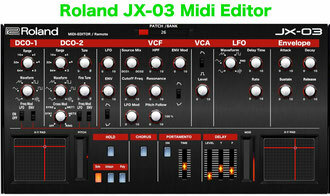 You can select the sound off the JU-06 (Presets 0-64). 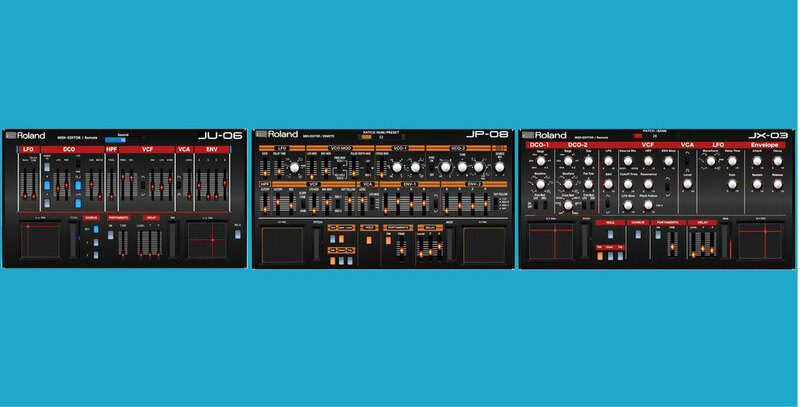 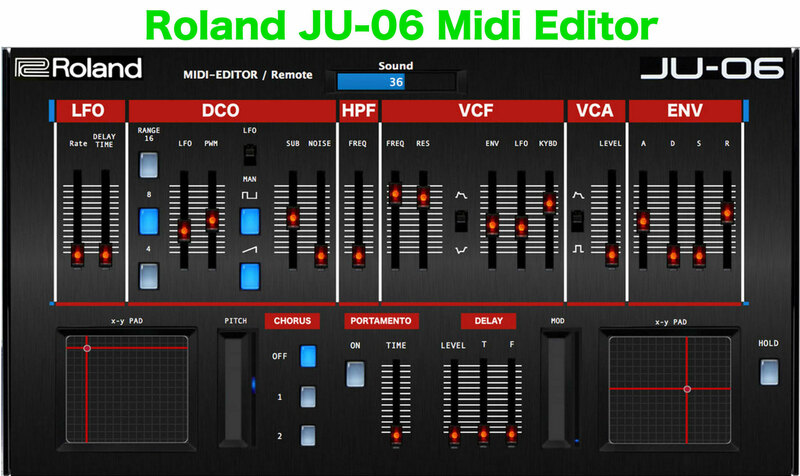 The hidden parameter "Portamento", „Delay" and "Hold", can be changed on the "JU-06 Midi Editor", which are not present on the JU-06 surface. "You need the JU-06 System Update Version 1.10"
I thank Mike Acosta from "ADSR" for his beautiful video. 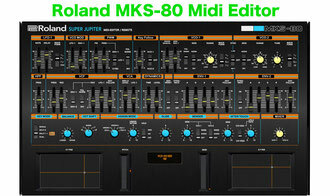 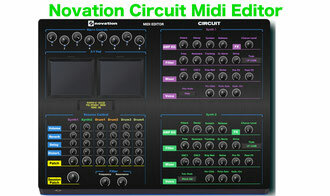 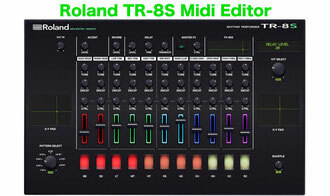 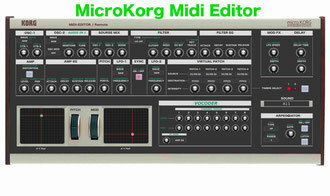 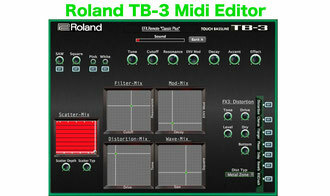 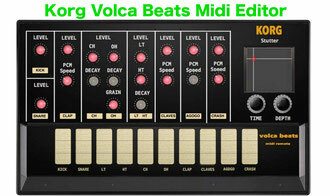 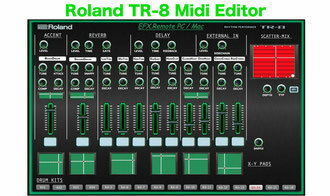 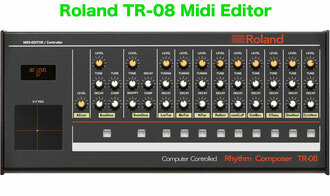 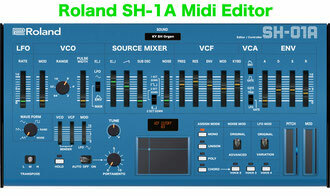 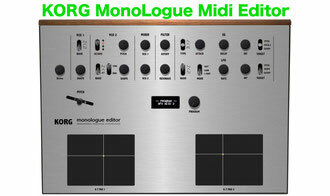 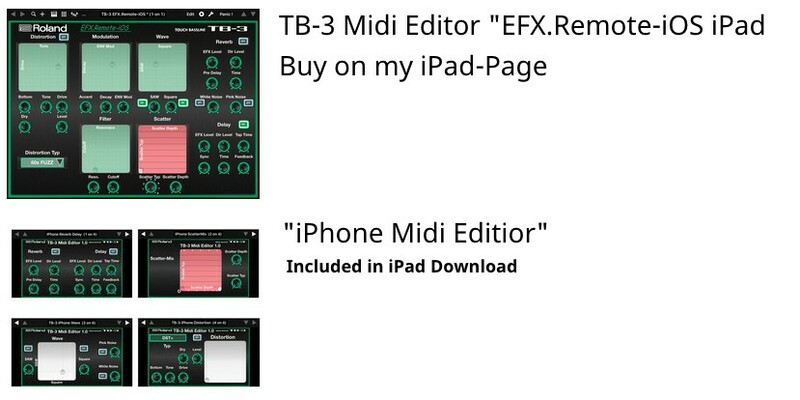 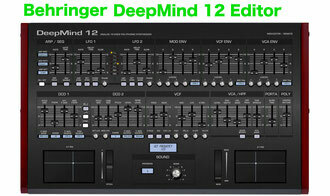 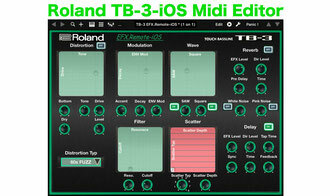 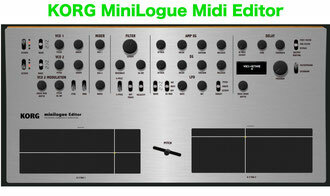 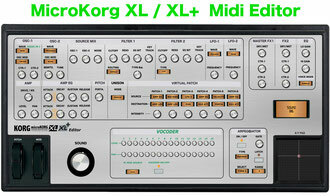 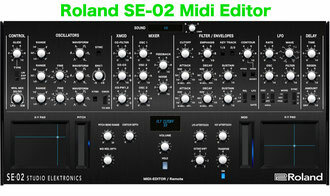 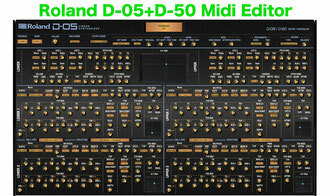 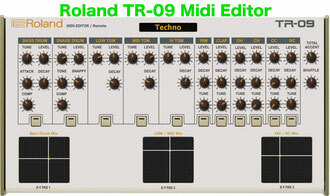 Here is my second Roland Boutique Midi Editor. 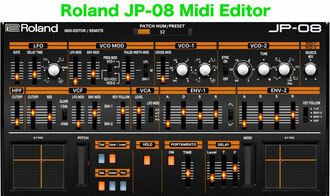 The Remote for the Synthesizer Roland Boutique JP-08.